DC-based real estate investment association AFIRE (A Fellowship for International Real Estate) has published their findings from their 2019 real estate investor survey, which captures insight and indicators among institutional investors in several global markets. AFIRE was established in 1988 to serve the needs of global institutional real estate investors navigating the challenges of investing in the Unites States. The community includes over 200 institutional investors, investment managers, and service providers from 24 countries. 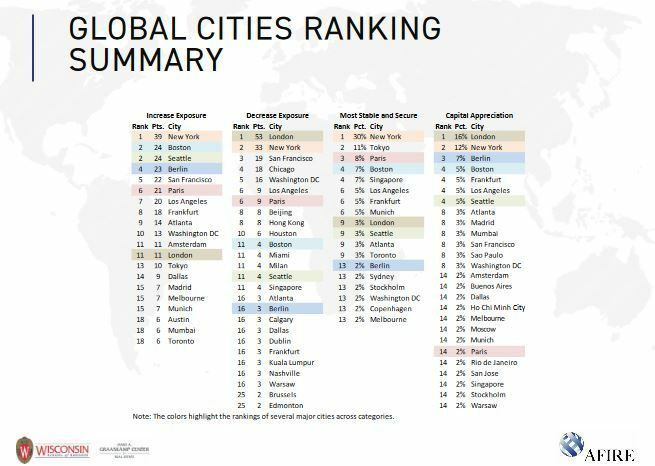 Boston, Berlin, Los Angeles, New York, Tokyo, Paris, Seattle and Atlanta all sit among the top ten global markets with opportunity for capital appreciation. The survey analyzes overall market outlook, with a focus on risks ranging from geopolitical to economic and climate change. Close attention is paid to near-term risks including changing interest rates, and global political and policy concerns. Investors have been relatively confident in a strong US economy, continued capital inflow to US real estate, and solid real estate market fundamentals. AFIRE CEO Gunnar Branson remarked, "Commercial real estate continues to perform well and is an important part of any long-term investment portfolio strategy. As global institutions hold assets over an extended time horizon, often in excess of 10 years, they pay close attention to the factors driving growth in global cities as well as the risks, and prudently adjust their strategies accordingly." "The fact that US commercial real estate has attracted historically high levels of capital from institutions around the world in the last few years is a strong vote of confidence in the long-term performance of commercial property in US cities." 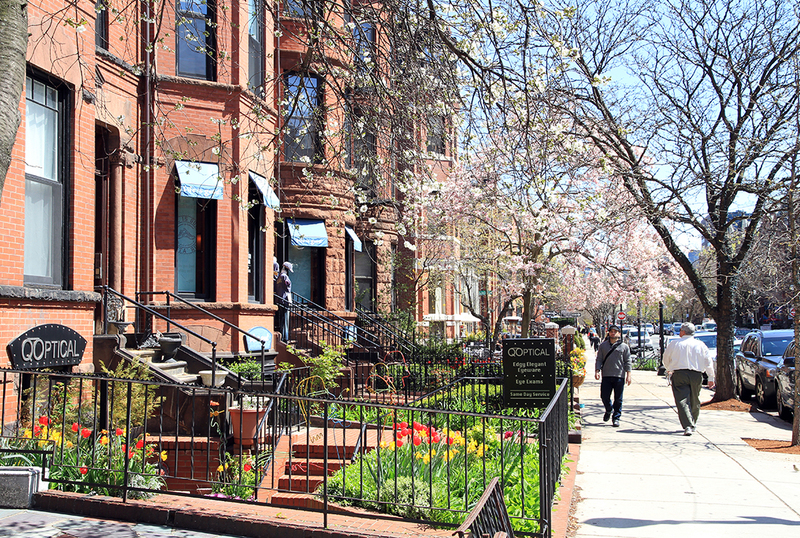 Many investors are expecting 2019 to present more attractive investing opportunities in US real estate than in the previous year, including among emerging niche markets and property types. New York ranked first among cities where respondents would like to increase their exposure, followed closely by Boston and Seattle. Berlin was the top ranked European city and fourth place, and Tokyo was the top ranked city in Asia. The emerging markets of Sao Paulo, Mumbai, Rio de Janeiro, Buenos Aires and Ho Chi Minh City ranked between eighth and fourteenth for the best opportunity for capital appreciation.